We are on the cusp of starting a new year, and energy is bubbling! 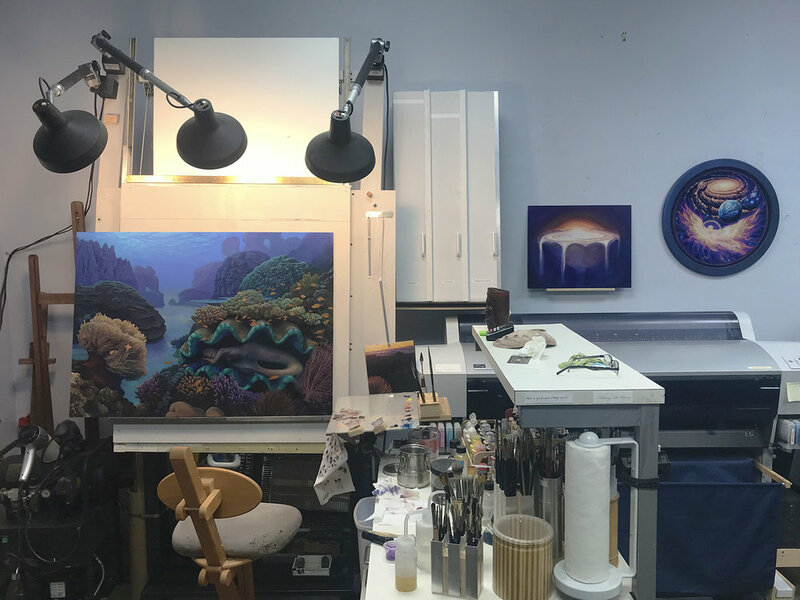 Feeling strong and blessed, I hope you feel the same… This is a peek at my easel right now, showing a new painting soon to be complete… this is my first ambitious oil painting, where I am breathing sighs of relief at how much easier it is, getting away from acrylics. The learning never stops, I will always feel like a student, but now, it starts to feel like my ability is much closer to achieving my ambition. Happy New Year!